However, at the same time, one instructor cannot be expected to juggle the needs of an entire class of children of varying ages and provide high quality care, which is always a daycare’s top priority. Consistently keeping an overstaffed team will hurt your business’s bottom line, while an understaffed team leads to chaos to the detriment of the kids. Striking the perfect balance is the key to success. Juggling the diverse needs of children that range of infants to five years old requires a consistent, organized daycare schedule. This means ensuring you meet the required child-to-teacher ratios to give each child enough attention and care, without overstaffing and increasing salary expenses at times of lower enrollments. Making every dollar count is important, and efficient daycare staff scheduling is a good way to stretch your payroll budget. While this may seem easy enough to do with pen and paper, or in excel, without integration and clear channels of communication, this method can easily become convoluted. This is especially true when calculating fulltime equivalency for morning, afternoon, and full day program students. Overall, the result is inconsistent daycare scheduling. 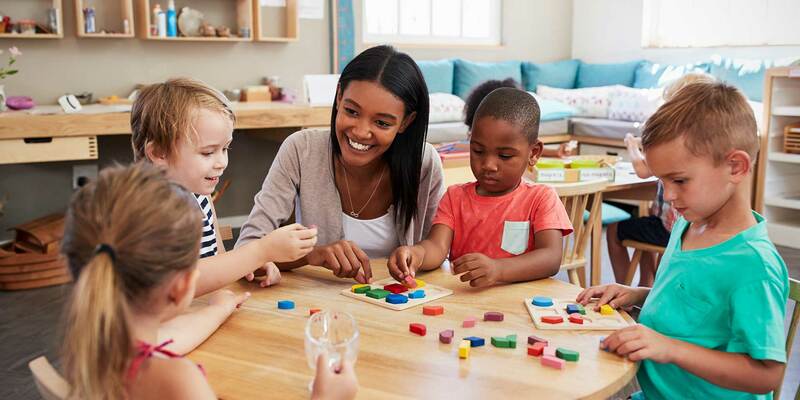 Using Daycare Software from Procare, it’s easy to make sure you are on target with ratios and avoid over and understaffing situations, striking the perfect balance every day. Schedules for children are maintained in the Family Data module. You can even set up multiple “in” and “out” times per day to accommodate before and after school children. Classroom ratios and staff schedules are handled in the Employee Data module. Each class may be assigned its own ratio and staff members may be scheduled individually or as part of a larger “department” like Infants or Toddlers. The schedule screen has an easy to read graphic interface with red lines to indicate any period of over or under staffing. Just click and drag the end of the line until the red goes away. You’ll also be alerted if an employee is scheduled more than the normally allowed number of hours per day. It can also be helpful to look at past attendance trends for periods of over staffing to help you make adjustments in the future. Use the Time and Attendance Tracking Software and/or our Procare Touch Computer to record the check in and out times of children and employees, then run reports to see past trends and use built-in scheduling features to plan for the future. Balancing staff scheduling according to enrollment period, group size, and age group adds up to hours of extra work, and even so, scheduling errors can slip through the cracks. Daycare attendance management simplifies your day-to-day operations allowing easy modification and updates, while ensuring the teacher to child ratio is maintained. Using Procare to strike the perfect scheduling balance, more time can be devoted to meeting the needs of each child and parent requests. Learn more about how Procare facilitates efficient daycare staff scheduling through attendance tracking.